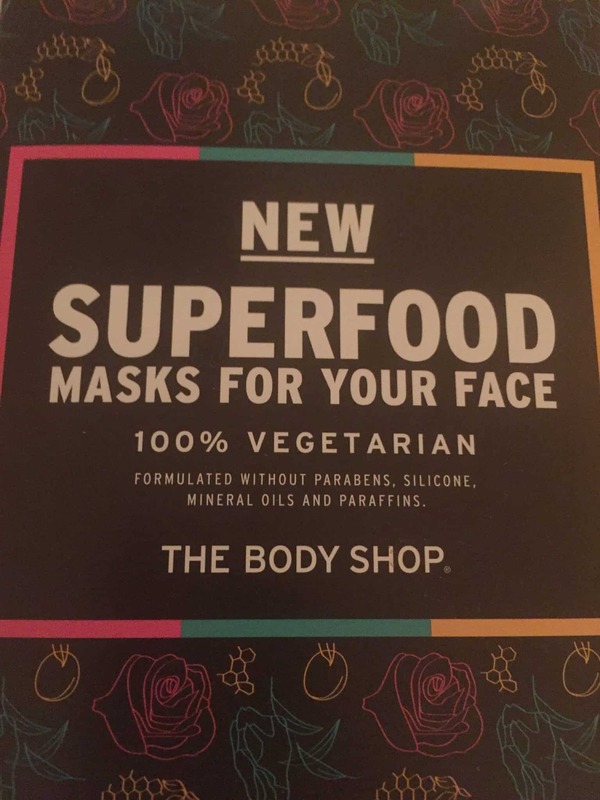 I have seen a few people posting about these Superfood masks from the Bodyshop and although I’m not really a mask person, I thought it would be fun to give them a try. 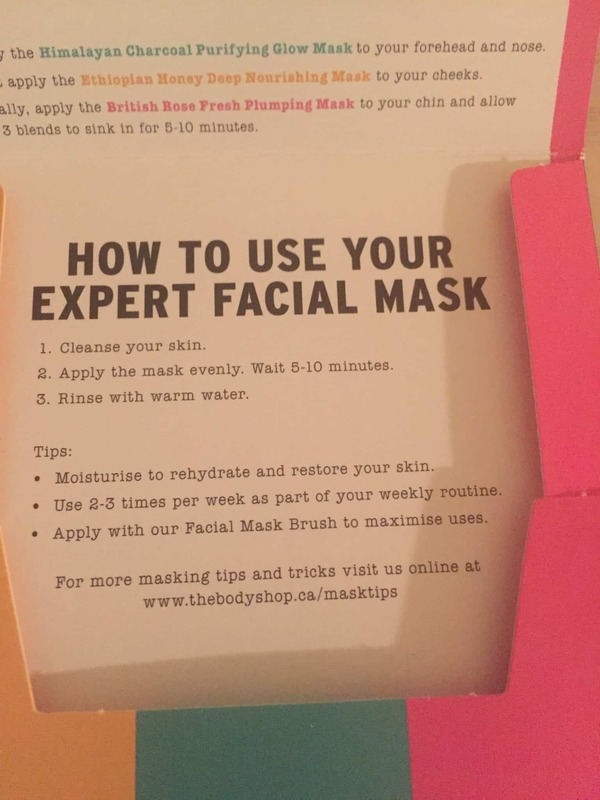 I visited The Body Shop store and was looking for a travel or trial sized option for these masks. 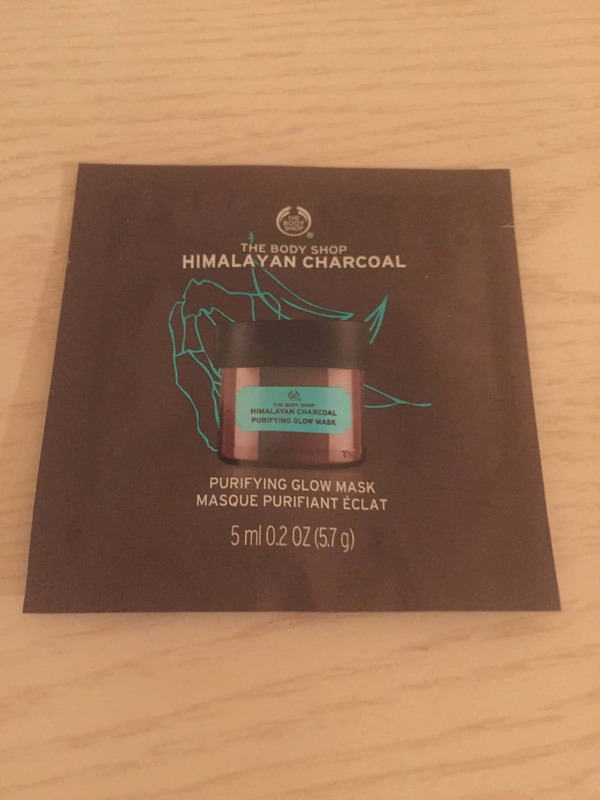 Luckily there was a sample three pack of masks with the Himalayan Charcoal Glow Mask, British Rose Plumping Mask, and Ethiopian Honey Deep Nourishing mask for $6. I did want to try the others as well but thought this was a good start. Perfect for skin that needs to release impurities and toxins to help reveal a healthy-looking, youthful glow. Refine and revive your skin with our Himalayan Charcoal Purifying Glow Mask. 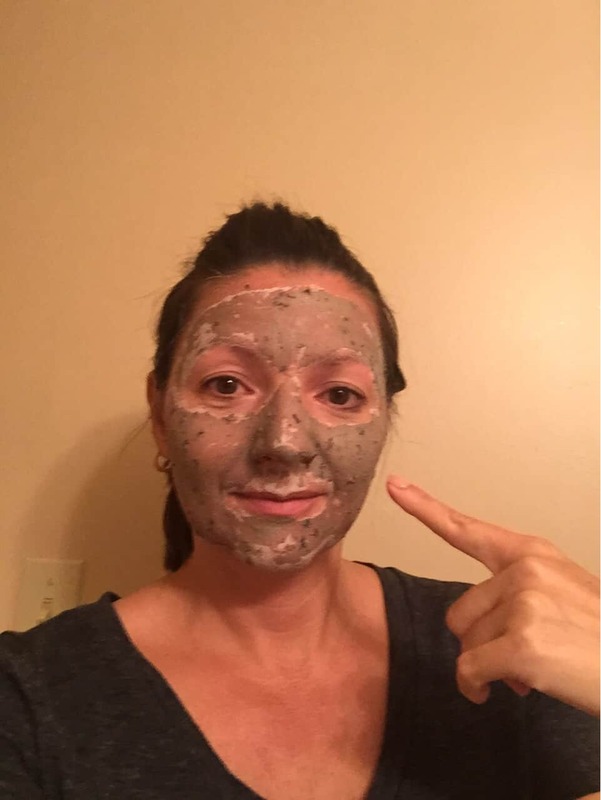 Inspired by Ayurvedic traditions, this 100% vegan tingling charcoal clay mask is infused with bamboo charcoal, green tea leaves and organic tea tree oil. 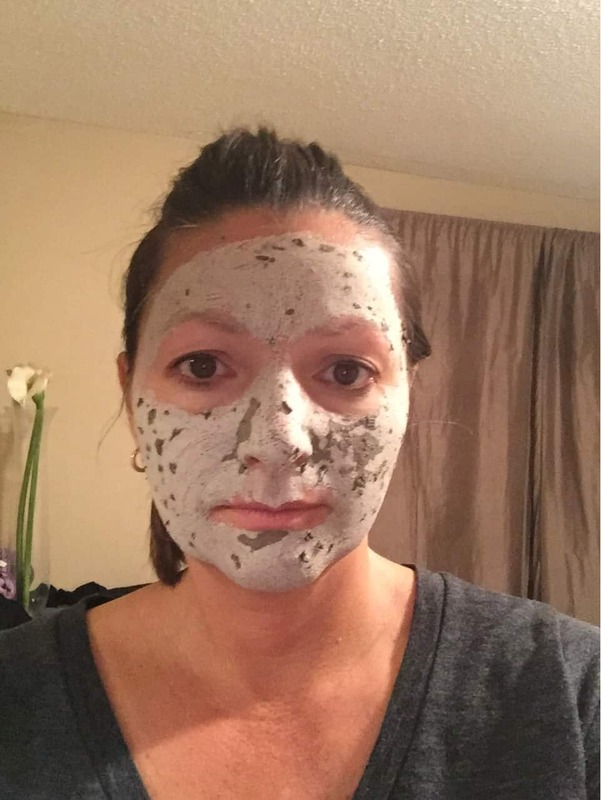 This invigorating charcoal face mask draws out impurities and refines the appearance of pores for healthy-looking skin with a glow that shows. • Packed with bamboo charcoal from the Himalayan Foothills, green tea leaves from Japan and organic Community Trade tea tree oil from Kenya. The mask was easy to apply. It was creamy with chunks of green tea leaves in it. I applied it to my face and waited patiently – as it began to dry my face started to tingle. I guess this means it’s working? Charcoal is great for extracting impurities from the skin – I think we all need that with the pollution and toxins in the air. I waited for the mask to dry before heading to the shower. Off I went and showered and rinsed the mask off my face. As I was rubbing off the mask I could feel my soft, silky skin coming through. My skin definitely felt very soft and smooth. The only draw back to this mask is the green tea leaves all over my bathtub after rinsing it off. I had to clean the leaves out of my bathtub. I’m hoping this won’t clog the drain. Other than the leaves in the tub, I was very happy with the way my skin felt and looked. My skin had a slight pink, fresh look to it. 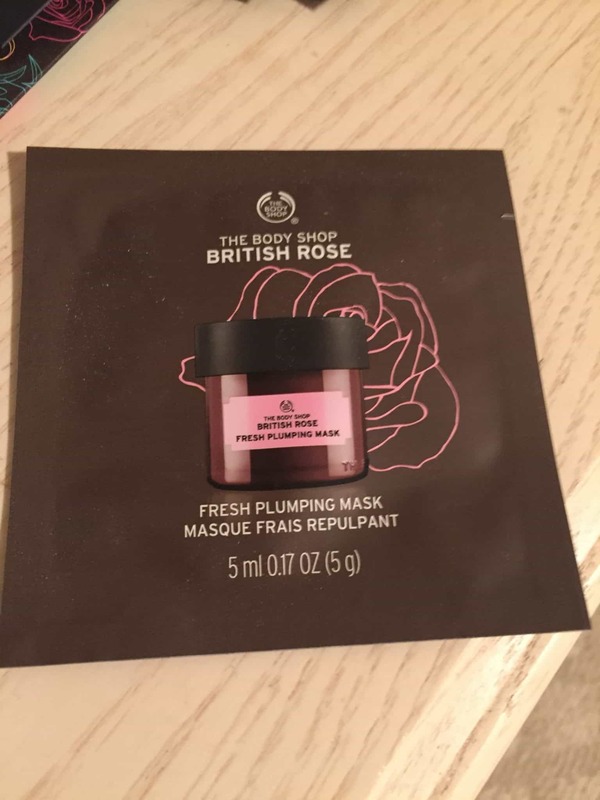 Grow your glow with our British Rose Fresh Plumping Mask. Inspired by the European bathing rituals, our 100% vegan refreshing gel face mask is infused with real rose petals, rose essence, rosehip oil and organic Community Trade aloe vera. Reveal skin that’s replenished with moisture and visibly smooth with a youthful dewy appearance. Let me just start by saying that this mask smells absolutely lovely……that beautiful smell of fresh roses. The mask applied nice and smooth like a gel facial cream with real rose petals. Rose is very healing for the skin. I didn’t take any pictures with this mask on as it just looked like a shiny cream on my face. My skin felt very soft, smooth and looked dewy and refreshed. 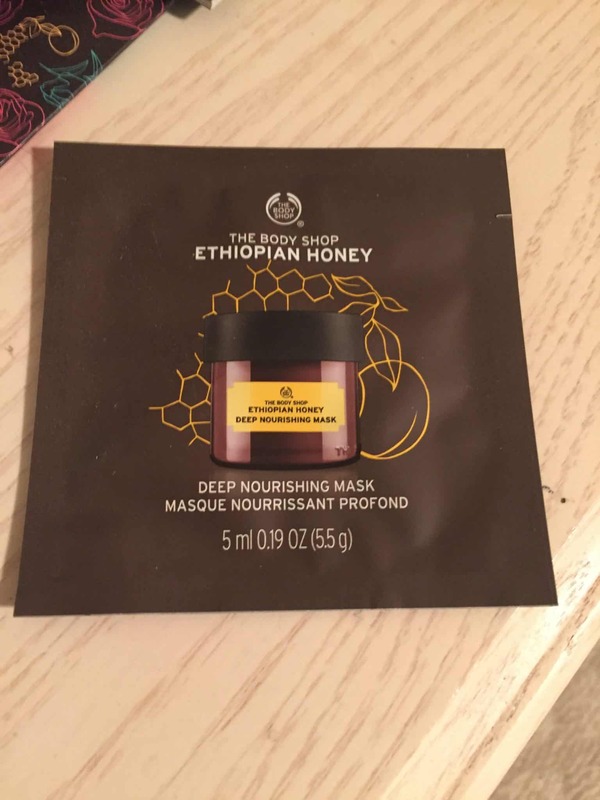 Cocoon your skin in moisture with our Ethiopian Honey Deep Nourishing Mask. Inspired by African healing and soothing rituals, our 100% vegetarian honey face mask drizzles together Community Trade honey, marula oil and olive oil for a luxurious experience. 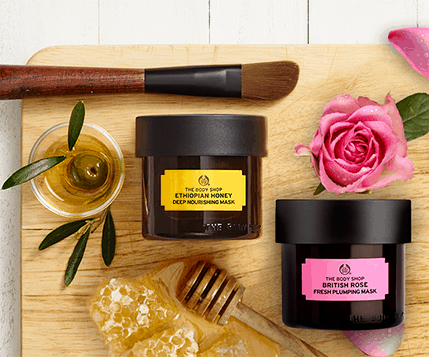 This honey face mask leaves skin feeling supremely nourished, replenished and rested. My daughters usually make their own honey masks at home and they love it for healing their skin so I was excited to try this one. When applying this mask to my face it felt very sticky – but that was expected as honey is sticky. It was easy to apply and had a nice scent to it. I rinsed off the mask after 10 minutes and my skin felt very soft, just like all the other masks. My skin felt nourished and hydrated. 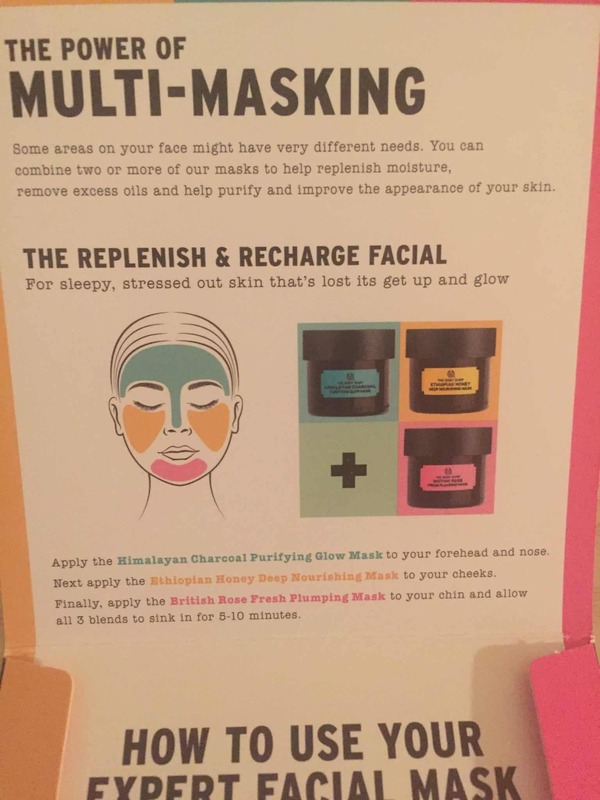 I was happy with the results from all of these masks and although I usually do not use mask, these would make a great addition to my skin care routine. Have you tried any masks that made your skin feel wonderful that you would recommend? can You pick one for me ? me too – teenage times – was so fun – OKAY XO i check it out next time – all rose everything xo yes ! Thanks for the recommendation . I absolutely love masks and I’ve been eyeing these every time I go into the body shop! The honey and british rose ones look so tempting! what is the honey mask that your daughter makes at home? oh yes apple cider vinegar works wonders!! !